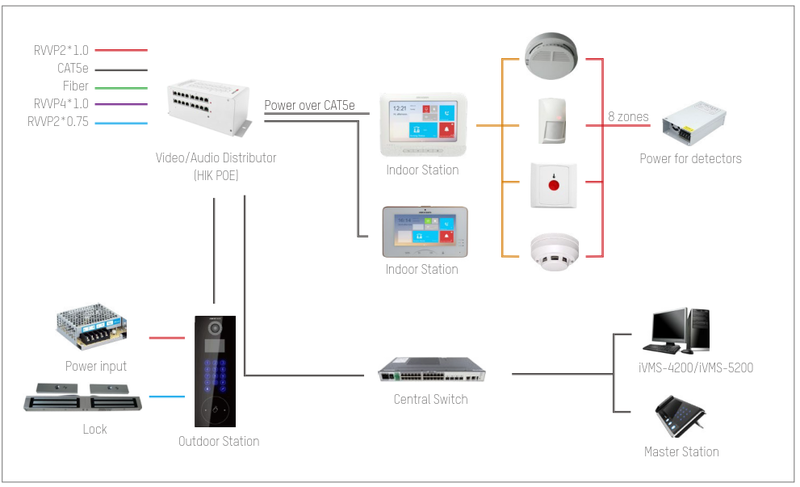 Using a friendly user interface, the Indoor Systems give you the ability to survey up to sixteen 1.3MP IP cameras while monitoring your outdoor stations. From the indoor stations you can also organize alarms, broadcast information and enjoy video or audio calls. The Outdoor Stations come equipped with a number keypad, button or card reader and can recognise over 2000 cards. Using the 1.3MP camera, all successful swipes will be auto-captured and uploaded to FTP or iVMS-4200 client. Q: Can the Outdoor Stations be added be added to my existing Hikvision system? A: Yes they can, just like adding another Hikvision camera to your system. Q: Are the stations available in other languages? A: Yes, please contact us and we can provide you with the appropriate firmware to change your language. Q: Can the outoor stations work as standalone products? A: The villa stations (the smaller stations) MUST be used with an indoor station but the apartment stations (ther larger units) can be used on their own, directly with iVMS-4200. 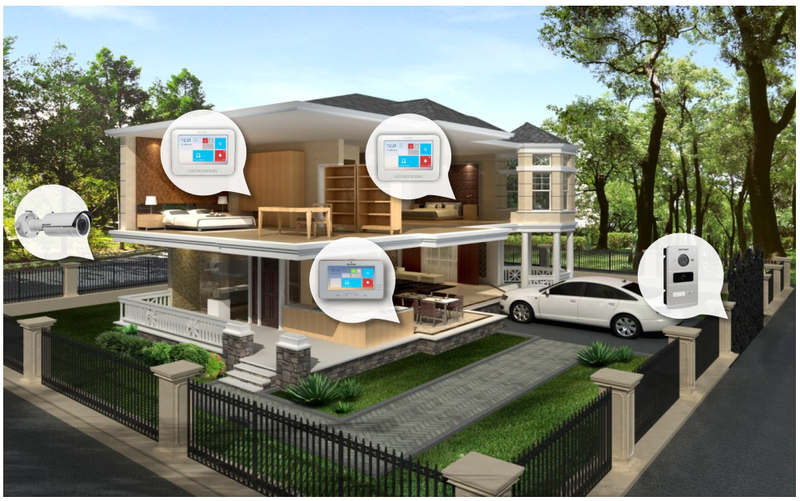 All of the Hikvision Intercom Systems can be controlled using Hik-Connect; a mobile app which allows you to open doors remotely, communicate with the outdoor system and receive alarm notifications wherever you are! If you have any questions regarding these systems then please feel free to Contact us and we'll do what we can to help!